Do You Still Want To Smoke? On the occasion of "World No Tobacco Day" which is celebrated on May 31st every year, we present you with some information about tobacco. Smoking refers not only to cigarette smoking but also chewing tobacco and smoking hookah. Tobacco is processed from a green leafy plant that is grown in warm climate. This tobacco has nicotine present and is usually smoked in a cigarette, pipe, or cigar. It is also chewed (called smokeless tobacco or chewing tobacco) or sniffed through the nose, called snuff. They, however all have the same effects on the body. Smoke contains carcinogenic pyrolytic products that bind to DNA and cause genetic mutations. There are more than 50 suspected chemical carcinogens in cigarettes. Tobacco is smoked; nicotine causes physical and psychological dependency and that is what is called addiction. Incidence of impotence is approximately 85 percent higher in male smokers compared to non-smokers, and is a key factor for erectile dysfunction or ED. It has bad effects on pregnant women as well. 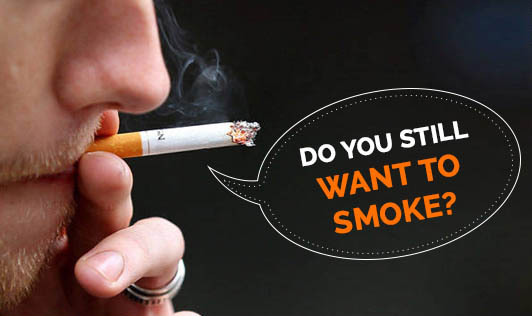 Usually smokers experience hair loss and changes in skin texture, dark circles, black spots, and wrinkles. But, pregnant smokers also put their unborn babies in danger when they smoke. Carcinogens are transferred to the fetus and result in birth defects. Smoking also affects the digestive, circulatory, and respiratory system. Cancer is the most commonly associated disease. Cough, infection, impairment in bone health could also result from smoking. Effects on dental health include bleeding gums, gum recession, delayed/impaired healing process, decreased success with dental procedures, loss of taste and smell, and bad breath. Most of them are the result of long-term smoking. But nobody defines long term in smoking. Therefore, quitting smoking is the best decision that one can make in life.Passive smokers also experience negative effects on health by staying with people who smoke. Smoking relieves stress, as said by many smokers, but the fact is that it increases stress and makes you addicted to it. On this occasion of "World No Tobacco Day", stop smoking and step up a healthy life style. Encourage smokers to quit smoking. Cigarette is poison any day.